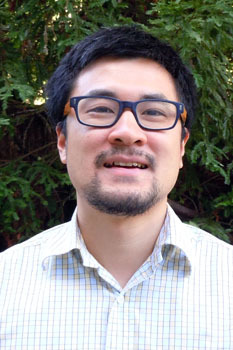 The Economics Department is pleased to welcome its newest faculty member, Assistant Professor Hikaru Saijo, who is joining the department this Fall 2013. Hikaru received this B.A. in Economics from University of Tokyo. In Japan, he was honored the Japanese Government Support for Long-Term Study Abroad and Ministry of Education and Science from 2008-2011. From there, he studied at University of Pennsylvania and received his Ph.D. in Economics. Hikaru's interests are in macroeconomics and econometrics. In his working paper, "The Uncertainty Multiplier and Business Cycles," Hikaru studies a business cycle model where agents learn about the state of the economy by accumulating capital. He connects uncertainty during recessions with economic activity and discovers that the model quantitatively replicates the VAR relationship between output and uncertainty. Hikaru has held numerous seminar presentations during 2013 in various locations such as UCSC, UIUC, Vanderbilt, Virginia, Boston Fed, Cleveland Fed, Kansas City Fed, Philadelphia Fed, Fed Board and Bank of Japan. We are excited to have Hikaru part of our department.